Did you know avocados contain 35% more potassium than a banana? 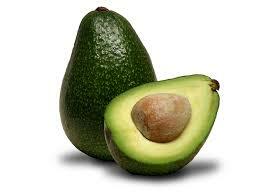 Avocados help regulate and stabilise blood sugar. They contain Lutein that protect against age related eye degeneration. Provides Oleic acid that improves the cardiovascular system. Contains more fibre than any other food, leaving you feeling fuller for longer!